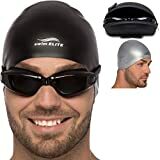 UV Protection andamp; Anti Fog Coating: Have you an excellent swimming experience under water. Anti fog protection can offer you a clear and long distant view under water.UV protection can help protect your eyes from being hurt by UV and bright lights. 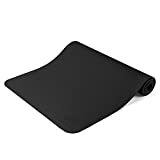 Hypoallergenic Silicone Material,Safety to Wear – Premium silicone material offers allergy-free, odorless and eco-friendly experience. Thus ensures the goggles are latex and pvc free, which are expecially safe and comfortable for kids and early teens. 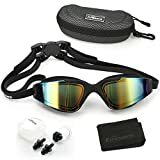 Clear Lenses,UV Protection and Anti Fog,Shatterproof,Waterproof – UV protection and anti-fogging treatments on goggles provides exceptional clarity and underwater vision. Anti-shatter techonology protects against drops and sratches. Durable silicone gaskets give the kids goggles a watertight seal. 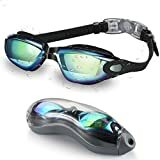 Best Swim Goggles for Your Children – With the soft silicone fram and adjustable side clips, the swim goggles provide a comfortable and custom fit for kids. 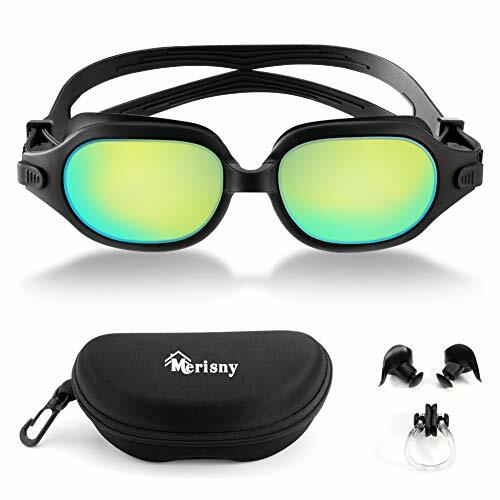 Package includes swim goggles for kidsTeens x 2, Nose clips x 2, Earplugs x 2. 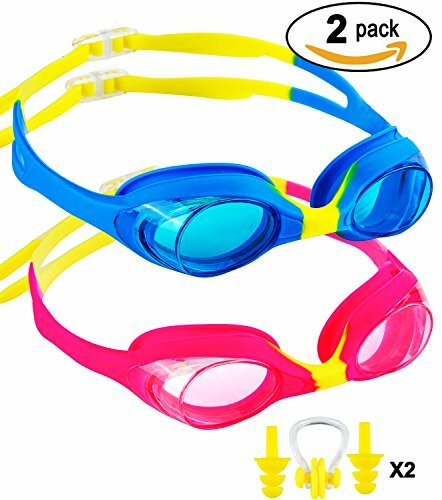 Two Tone Color Design for Kids – The swim goggles choose from the fun and vibrant colors kids will love. Suitable for kids and early teens age from 3 to 10.